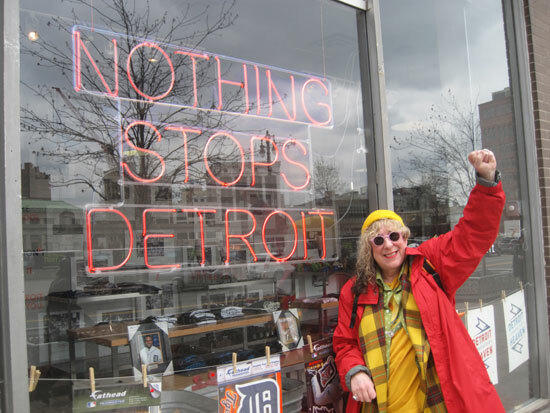 Allee Willis’ Kitsch O’ The Day – Happy Mother’s Day!! About 20 years ago, after years of thinking these two medically deficient dolls were the only artifacts of Little Allee that remained, my brother shipped me my old steamer trunk that had been hogging a corner of his garage since I graduated college. 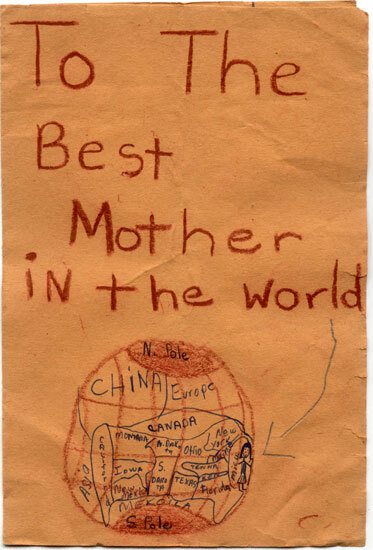 I had always assumed it was empty but inside was a small cigar box that contained letters, post cards, hamburger recipes, and this Mother’s Day card I had made for my mom when I was God knows how old. 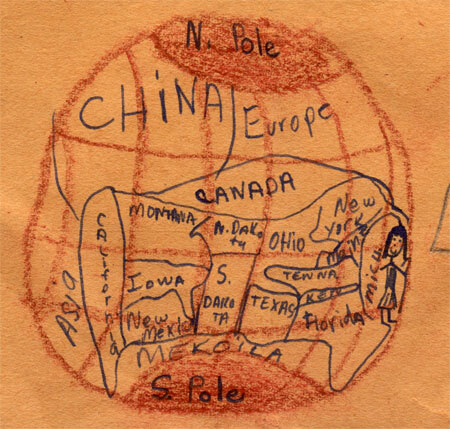 I hope it wasn’t too old as my interpretation of the world was slightly naive. 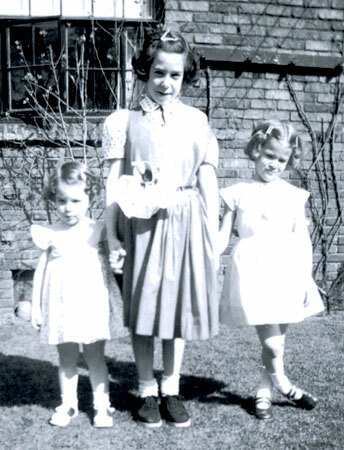 I’m the tall one in that photo with my two cousins, Sue and Marjorie Singer. 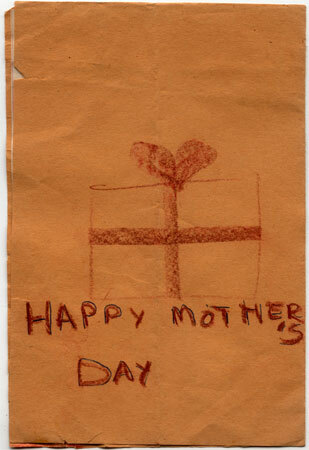 And if memory serves, that’s actually a giant Mother’s Day rose tucked into my belt that I made out of a toilet paper roll and tissue paper to give to my mom a couple of years after I made this card. 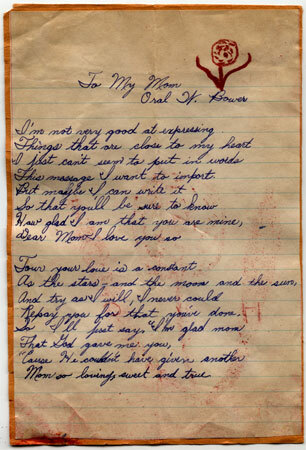 My mother’s name was Rose so that flower had a lot of significance in our family. 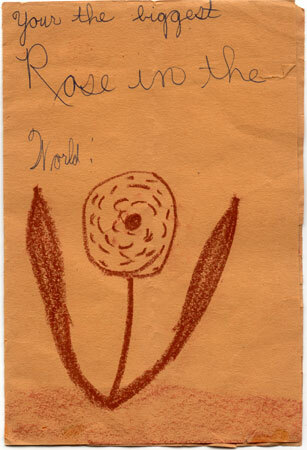 I definitely misspelled ‘You’re’ but I’m happy to see that I gave the rose much petal definition and that the leaves look like jubilant uplifted arms as it was a very happy rose and a very happy Rose that celebrated Mother’s Day that year. I did, however, completely cheese out on the poetry I included inside. I have no idea where I copied this from but I’m happy to see that I knew enough as a budding designer to carry over the rose logo. Thankfully in my later years I progressed to the point where I didn’t need someone else’s words to express how I was feeling. Never one to leave space empty for long, I ended the card with a picture of a present. Of course, my mom’s only present from me that year was this card but as a first grade teacher she always appreciated the effort I put into art. 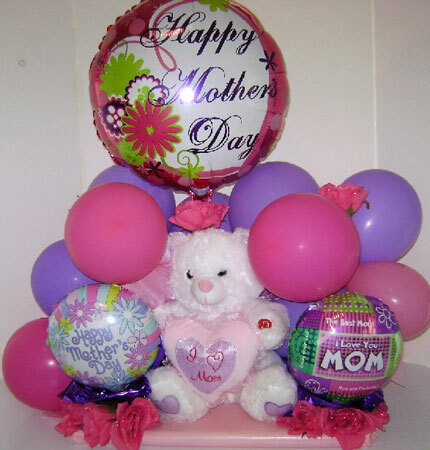 Happy Mother’s Day to all the moms out there. 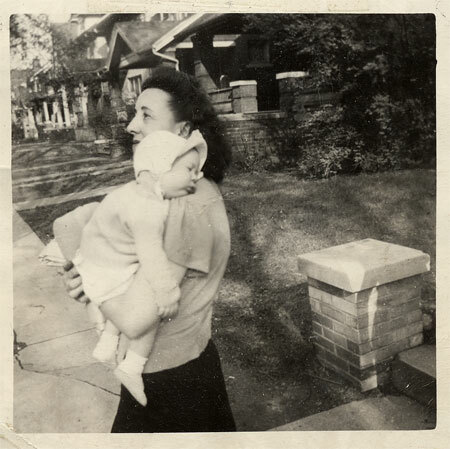 And Happy Mother’s Day, Rose, wherever you may be now.